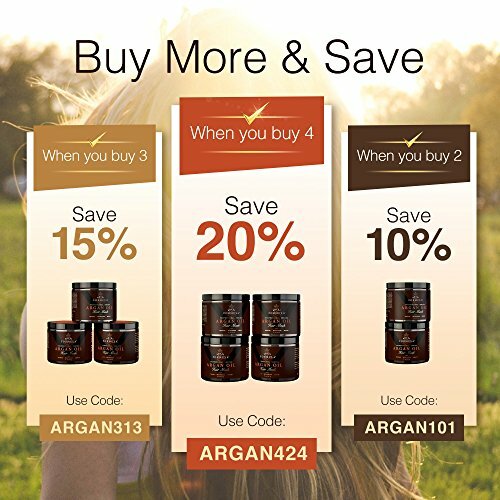 Nourishes Hair, Effective Hair Treatment Deep Conditioner – All In One Hair Restorer, Promotes New Hair Follicle Growth, Repairs & Regenerates Hair Shafts For Smoother, Thicker, Healthier-Looking Hair. 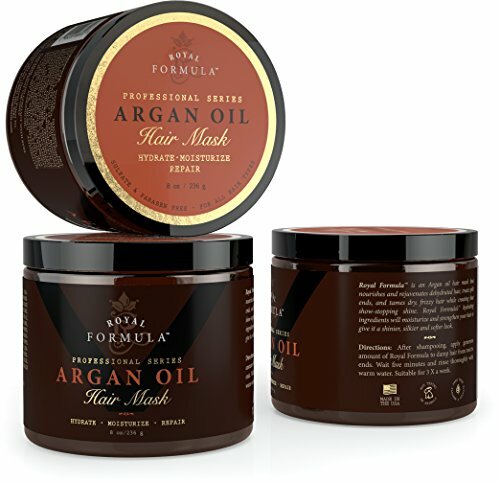 ENJOY A DEEP CONDITIONING SALON HAIR TREATMENT THERAPY RIGHT AT HOME - Clinically proven to naturally restore your hair's strength, bounce and natural shine.. Argan Oil Hair Mask effectively hydrates, reduces frizz and improves your hair's manageability with just 1 treatment. 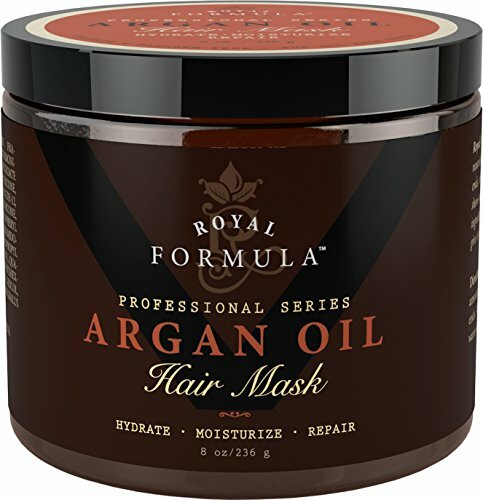 DEEP CONDITIONING FOR HARD TO MANAGE, DAMAGED HAIR, GET CLINICAL STRENGTH REPAIR - Easy-to-use CLEAN-SMELLING HAIR MASK significantly improves the look of dull, dry, thin and lifeless hair in just minutes. 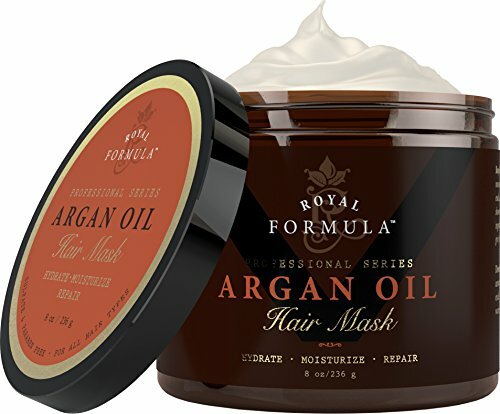 This luxurious, creamy-textured hair conditioning mask gives more manageable, silky-smooth, healthier looking hair you'll love to touch and style. Get the great looking, shiny, healthy-looking hair you've always wanted. 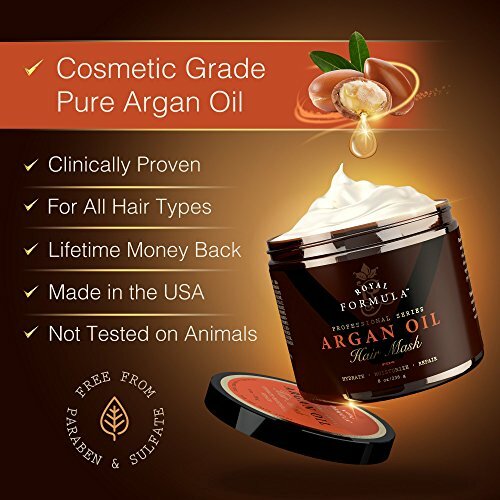 100% HIGH QUALITY INGREDIENTS - helps protects hair color and aids in reversing the effects caused by the sun's damaging UV rays, swim in the ocean's salt water, or pool chlorine chemicals. Restores hydration to the hair shafts and deep inside hair follicle to repair moisture loss due to heat styling and blow drying. NEW HAIR SHAFT REPAIR & REJUVENATING HAIR GROWTH TREATMENT - Repairs years of damage to fine, over-processed hair. 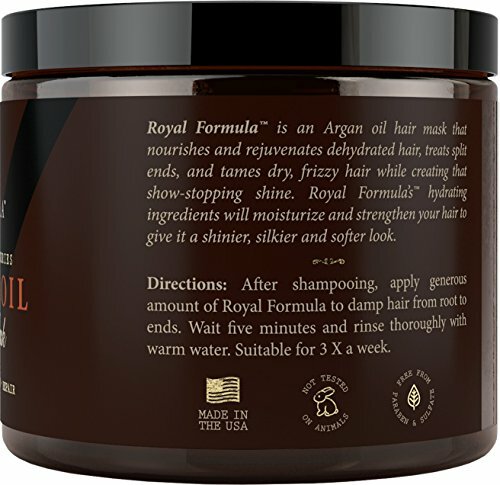 Adds volume, and gives the feeling of thickness to fine limp hair. Restores softer-looking curls as it improves the overall health of your hair by making it more easy-to-manage too. 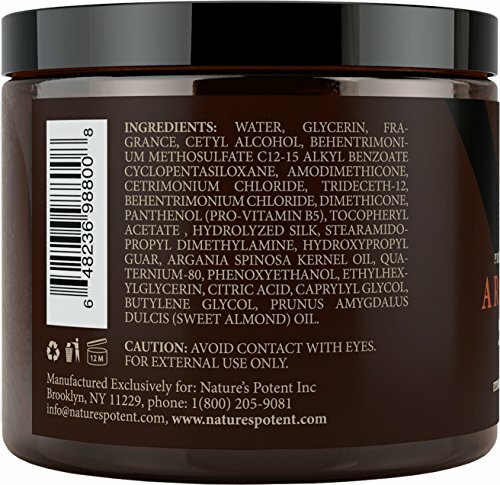 PROFESSIONAL SALON HAIR TREATMENT THERAPY - This Luxury Hair Mask Formula includes: Hydrolyzed Silk, Pure Argan Oil, Almond Oils and Pro-Vitamin B-5 to help speed hair follicle repair & stimulate new hair growth while it cleans away hair product residues for a cleaner, healthier, fresher-feeling scalp. 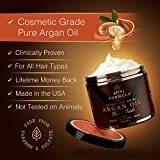 Argan Oil for Hair - Works AMAZING for Women, Men & Kids - NATURAL Deep Conditioning Hair Treatment Therapy - Dramatically Improves Hair Softness & Texture. Restores A Healthy Look & Natural Shine. 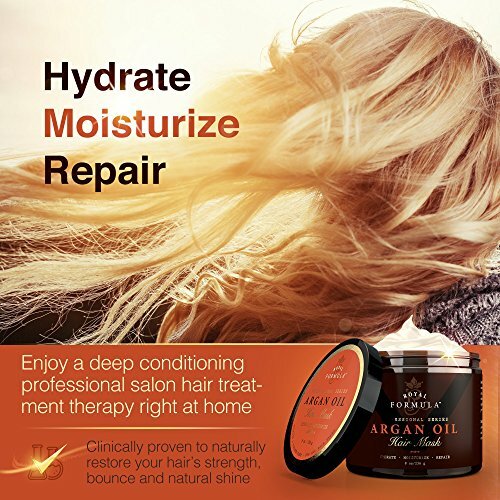 Nourishes Hair, Effective Hair Treatment Deep Conditioner - All In One Hair Restorer, Promotes New Hair Follicle Growth, Repairs & Regenerates Hair Shafts For Smoother, Thicker, Healthier-Looking Hair.